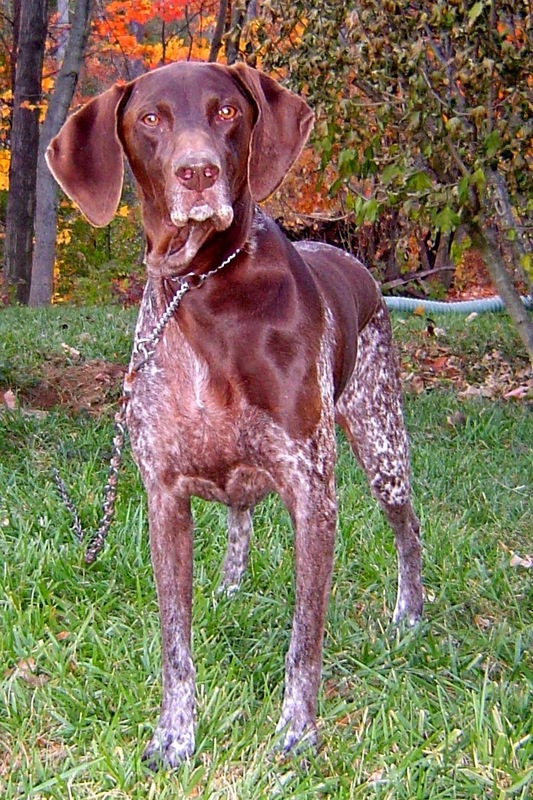 My husband and I adopted a German Shorthaired Pointer shortly after we were married, nearly 13 years ago. I have a vivid picture in my mind of the day we picked her out. We were at a dog rescue place and I had been inside. When I came out after not seeing any dogs that I liked, someone was bringing "Maggie" in. My husband was standing there pointing down at the dog with a "this is the one" look on his face. I shook my head. He had no clue. I was breed familiar and know these breeds demand a lot of attention and are known for their extremely high energy levels. My last dog had extremely high energy and I wasn't sure my husband understood what this dog might need. But he was insistent and we ended up bringing Maggie home and renaming her Daisy. She was about 6 months old and full of energy. These dogs are also known for their incredible silliness. As hyper as she was, she learned very quickly to be still as possible around our children as they were born. She demanded daily walks of at least a mile, which became a peaceful time for me. I loved walking her in the long summer evenings. When we started camping, we found we could actually tire her out. Her first night she actually asked us to go to bed! As she got older, she did slow down, but even up to her last days, she was ready to run around on her bad legs. She was a great dog, but unfortunately, as all dog owner come to learn, dogs never live long enough. Daisy came to rest yesterday, one month to the date of my mother's passing. Rest in peace (or rather run around like crazy) Daisy! I know Mom is giving you some loving in heaven! So sorry for your loss! I lost my dear Nova a couple months ago & not a day goes by that I do not miss her. And you're right, they never do live long enough. Then again, we'd keep them forever if we could. 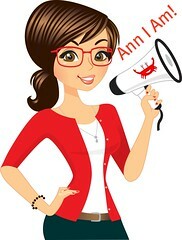 It is a happy and sad sharing, Ann. Love animals to pieces. This story today brought tears to my eyes. RIP Daisy, sweet companion and friend you were and always shall remain to the people who love you so much. Aw! I am sorry to hear you lost sweet Daisy, especially so soon after losing your mom. Loss is hard...take care of yourself!